WASHINGTON, Nov. 30, 2017 — A Defense Department study on the benefits of surfing for patients with post-traumatic stress. A clinical tracking tool used to manage patient care. An advanced electroencephalogram and eye tracker. The Defense and Veterans Brain Injury Center's traumatic brain injury clinic at Naval Medical Center San Diego and the Naval Health Research Center at Naval Base Point Loma in San Diego are developing and using cutting-edge research to better help service members, their family members and retirees. At the research center, Kristen Walter is conducting DoD's first research study of its kind on the psychological and physical effects of a surf therapy program for patients with post-traumatic stress disorder and other issues. Almost 70 active duty and reserve component patients from all service branches, primarily the Marine Corps and the Navy, participated in the study. After this first study, she added, she and her team will look into not only the effects not only of surfing therapy, but also of hiking and other recreational therapies that would be accessible for more patients. She said she has personally noticed the change in the patients. Patients typically undergo standard psychotherapies for psychological disorders, but recreational outlets offer them an alternative, Walter said. The team designed the algorithm for the clinical tracking tool with Navy Seal patients because of the Seals’ high operations tempo, said Dr. Lars Hungerford, senior clinical research director for DVBIC. “We created an algorithm and a tool so that we can screen them while they’re still overseas so we’ll know how many people we’ll need to see [and] get them set up so that when they hit the ground here, they’re all set up and running. We can just move on from there,” he said. While a patient is undergoing treatment at the hospital, Hungerford said, all of the different specialists who see the patient will put in their notes and appointments and see the patient’s goals so that everyone is on the same page. “For example, when we first see a patient, we do an intake, meet as a team and come up with a treatment plan for what that person needs," he said. “They need occupational therapy, speech, neuropysch -- that gets put into the referral and gets kicked over to the individual providers, and then they write up their notes and we track all of their symptoms in the system. The eye tracker is used to measure saccade response, or reaction time and speed of response, Hungerford said. The new wireless EEG prototype is portable and doesn’t require liquid or gel. The new fusion study is using both the eye tracking and EEG at the same time. “That’s probably something that hasn’t been done,” Hungerford said. Looking at the different modalities that diagnose TBIs and comparing what the eyes are doing to what the brain is doing to what the MRI reveals combine to achieve a better understanding of what is going on with the patients, he added. In 2018, Oklahoma will begin using traffic cameras to scan drivers license plates and send tickets to those who do not have insurance. Drivers will face a $184 fine, and if they do not pay, they face possible prosecution. An estimated 25 percent of Oklahoma drivers do not have insurance. New Orleans has a new Real Time Crime Monitoring Center, with plans to include feeds from surveillance cameras owned by businesses and residents along with video from city-owned surveillance devices. The center will primarily be staffed by civilian employees, and is part of a multi-million project to decrease crime rates in the city. The LBKAlert system launched a few weeks ago, but so far the Lubbock Police Department has not elected to use it for any public safety event. A department spokesman says that the system is intended for use in times when there is a need for a citywide alert, and the department will err on the side of caution in using it. In October 2017, the police department in Dayton, Ohio, began using DragonEye Speed Lidar devices, which allow officers to take photos of speeding vehicles, thus enabling them to issues citations without making a traffic stop. Unlike stationary speed cameras, these devices can be deployed anywhere in the city. Mecklenburg Jail Visits Are Now Solely by Video. Critics Say That Hurts Inmates, Families. A growing number of North Carolina jails, including the one in Mecklenburg County, have ended in-person visits in favor of video-only visitation. Research indicates that inmates who receive visits and remain connected with family and friends are less likely to reoffend, and that in-person visits return greater results than do video-only visits. This opinion piece, written by a retired research director with the Iowa Department of Corrections, takes a stand against the recent backlash against using risk assessments in determining sentencing and setting bond. In the United Kingdom, a new specialist squad established in January 2016 has recovered 120 drones used in attempts to smuggle contraband into the nations jails. The teams efforts have led to the conviction of 17 individuals. The American Enterprise Institute recently released Rethinking Prison: A Strategy for Evidence-Based Reform, a 37-page report in which the author calls for reforms aimed at reducing recidivism rates. The report calls for an increase in instructional programs, a reduction in the number of prisoners and increased use of risk assessments. The Texas correctional system faced a 28-percent turnover rate in the past fiscal year, which some experts attribute to a recovering oil and gas sector. In times of economic prosperity, individuals often leave corrections jobs for other positions that offer better pay. The system presently has a 12-percent job vacancy rate. Late in November, criminal justice reformers launched The Bail Project, a plan to use charitable donations to bail people who cannot afford to pay bond out of jail. Backed by $30 million in donations, the group plans to establish a revolving fund to keep more than 160,000 low-income individuals out of jail while awaiting trial for minor offenses. Researchers at the University of Nebraska-Omaha plan to look for a possible link between correctional officers exposure to stressful experiences and subsequent development of long-term mental and physical health issues. In addition to collecting data, the researchers will also take saliva samples to obtain physical evidence of officers exposure to stress. The installation of 1,500 LED lights and public safety cameras has helped reduce crime in areas of Greenville, N.C., police say. In one area, use of the lights has contributed to a 19 percent drop in crime. The next phase of the project is to continue to change more of the 7,300 lights in the city to LED and add more public safety cameras. 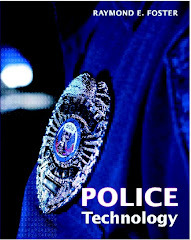 The police department currently uses more than 200 cameras to assist in different cases. The police department in Norwich, Conn., has completed a switch to a new statewide 911 call system, the last of the state's municipal departments to complete the change. According to the state Department of Emergency Services and Public Protection, the new internet-based system will provide the infrastructure to allow texting to 911, sending images or video with a 911 call, and calling 911 directly through the internet once telecommunications companies make the features available to the public. Officials in Porter County, Ind., are moving ahead with plans to switch to 800 MHz radios for emergency communications. The Board of Commissioners approved spending $1.2 million for the project. The county is offering financial help to the county's smaller departments to purchase the radios. The police department in Visalia, Calif., will use a $153,000 grant from the U.S. Department of Justice to cover half the cost of outfitting more than 100 officers with body-worn cameras. The department is researching vendors to determine who can provide the most efficient package. The police department in Stockton, Calif., plans to begin using unmanned aircraft in the new year. Police plan to use the technology to provide an aerial view in situations such as shootings, searching for subjects in neighborhoods, missing person cases and large fires. One device is equipped with heat sensors and multiple high-functioning cameras, and can withstand strong winds and heavy rain. The U.S. Department of Homeland Security recently held canine explosives detection training for police agencies in the Washington, D.C., area. The DHS Regional Explosives Detection Dog Initiative puts dogs and their handlers in real-world scenarios, such as a motorcade, searching for explosive materials. The training also includes odor recognition trials. Law enforcement officials in Sandusky County, Ohio, credit educational outreach programs, life-saving personnel and better law enforcement for a drop in overdose deaths. According to Sandusky County Sheriff Chris Hilton, there have been eight overdose deaths in the county through Nov. 15, compared to 12 at the same time last year. The total number of overdose deaths in Sandusky County last year was 23. A patrol officer in Charleston W.Va., was saved by his ballistic-resistant vest when a burglary suspect shot him in the torso. The officer returned fire, killing the suspect. The shooter entered the home with three other men, where they held the residents at gunpoint demanding drugs and money. An attempted delivery of illegal contraband at ASPC-Lewis in Buckeye in the fall was unsuccessful after the drone that was carrying the items crashed, according to the Arizona Department of Corrections. The drone crashed back in September in a security zone that is unreachable by inmates. ADP said the drone was carrying multiple cell phones and drugs. Officials have not determined who attempted to deliver the contraband. The Alabama Department of Corrections has a plan to increase officer staffing levels through recruiting, increasing officer pay and consolidating operations in some correctional facilities. The plan includes moving staff and inmates at the Draper Correctional Facility to other facilities. Draper will be repurposed for vocational and educational training programs for inmates housed in nearby facilities. This article discusses the problem of people using drones to attempt to smuggle contraband into prisons, and efforts to develop technologies to detect and disable or intercept drones. The Maryland Department of Public Safety and Correctional Services recently received emergency funding to evaluate drone detection systems. The U.S. Food and Drug Administration recently approved the marketing of the NSS-2 Bridge to help reduce opioid withdrawal symptoms. The NSS-2 Bridge is a small electrical nerve stimulator placed behind a patient's ear. It contains a battery-powered chip that emits electrical pulses to stimulate branches of certain cranial nerves. It was developed by Indiana-based Innovative Health Solutions. A judge in Greenwood City, Ind., this year began offering a plan through the local probation department in which opiate addicts can choose to wear a NSS-2 Bridge rather than face jail time. Mental Health Partnerships in Philadelphia recently received a $3 million grant for a program to offer peer support to women leaving prison. The three-year program will work with women at Philadelphia's Riverside Correctional Facility, and specifically target women who struggle with a self-reported mental health condition, drugs and alcohol, and/or are facing housing insecurity. This article discusses the use of managed access as a means to block the use of contraband cell phones in prisons. Managed access prevents unauthorized calls by blocking calls to and from devices or numbers that are not approved.